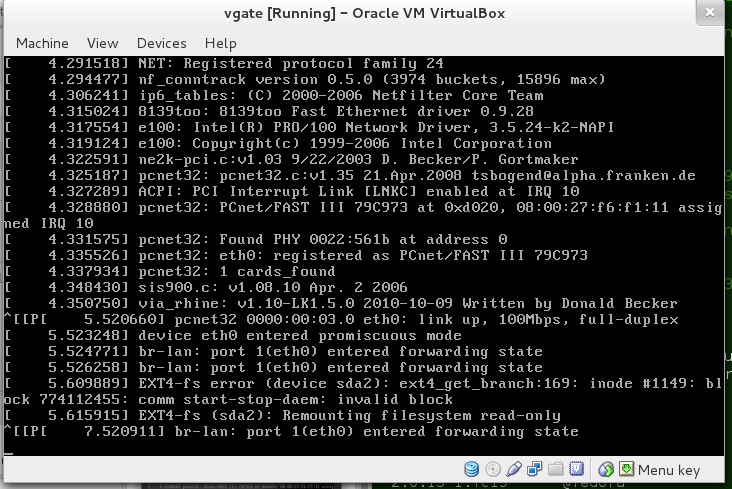 I just compiled an OpenWRT image for the Virtual Box target and it seems to be read-only. I decided to try the VMWare build and this seems to work. I remind that both images and build using the same target platform selection. The VMWare image is working well. We're seeing this as well. Worked in the past quite ok. We're on AA branch. It then remounts readonly, and then quickly reboots, and it keeps doing this over and over until replacing it with the vmware image. I had this problem. I took the .img file, copied it to Windows (my VB host) and did the conversion to vdi using the conversion tool in the PC VirtualBox (convertfromraw). The resulting .vdi works fine.